Since we are employees at a tourist-based business, having to work on the weekend or on a Holiday is not that unusual. In fact, it is almost expected. So the fact that Betsy and I were able to have a day off together on a Holiday weekend was a welcomed occasion. Being on the down side of our time here, we did not want to waste this opportunity to get out and experience some more of the island. Our destinations for today were some points of interest back on the west (quiet) side of the claw, that is Mt. Desert Island. With a late morning departure from our home at Narrows Too Campground, our first stop of the day was the Indian Point Blagden Preserve. 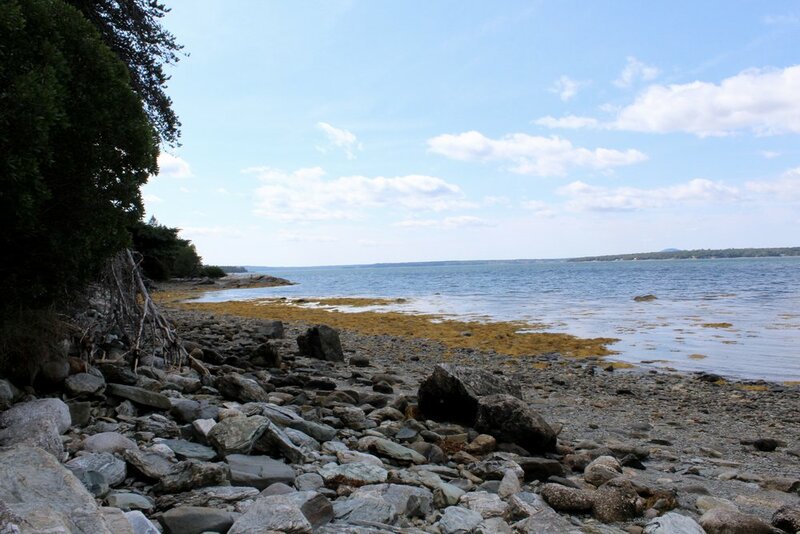 The Indian Point Blagden Preserve is 110 acres and lies on the western side of Bar Harbor, on the Indian Point peninsula. 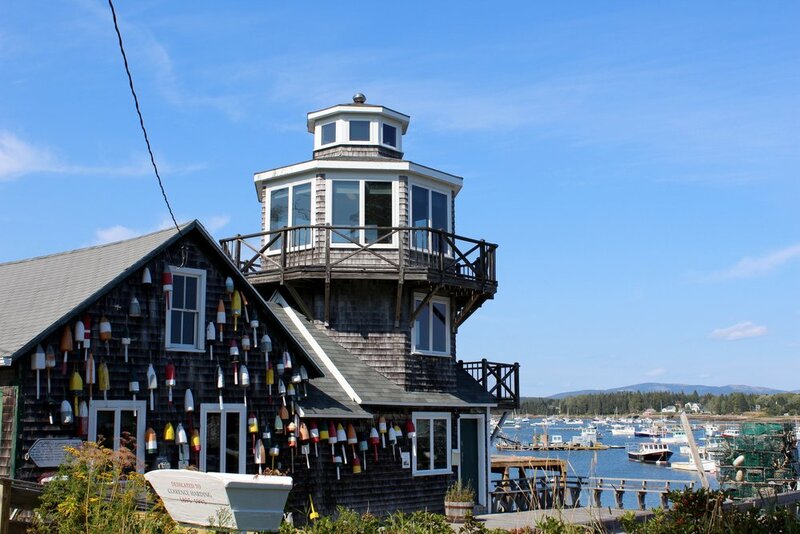 It is located in the part of Mount Desert Island that escaped the fire of 1947 and thus provides interesting contrasts to the central and eastern parts of the island, which were severely burned. 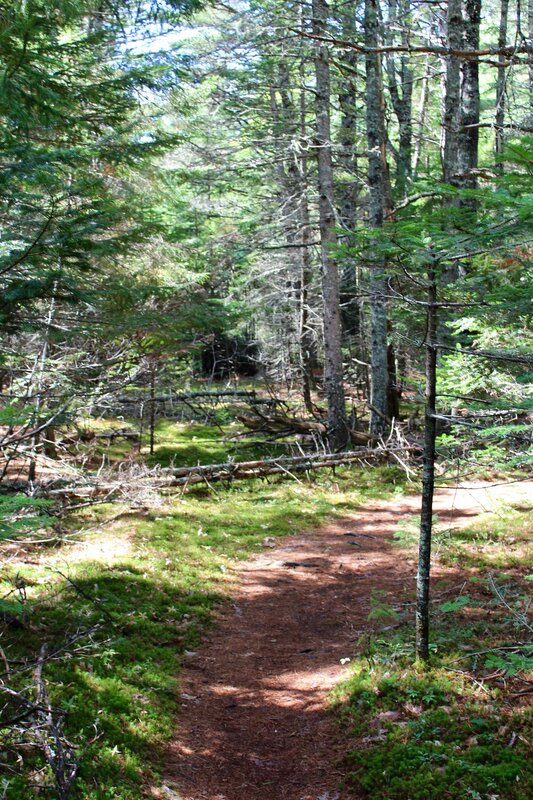 The majority of the preserve is forested, covered by tall red spruce, white cedar, and balsam fir. Upon arrival we stopped at the small information building to orient ourselves to the lay of the land and get a map just in case. The trail that winds through the center of the Preserve was mostly flat, or slightly downhill, and was pretty well marked. There was the occasional tree root or small rock to deal with, but for the most part, it was more like a leisurely stroll through the woods. After about 35 minutes we spotted some evidence that we were approaching the coastline. As our path crossed an access road we chose to continue on a trail that took us towards the water, and its rocky shoreline. After passing a couple of openings to the water, we came upon a small rocky clearing that appeared to have two red adirondack chairs facing the water. Since they were unoccupied, we wandered over toinvestigate a little further. The chairs each had a commemorative plaque and seemed to be for all to enjoy. So we obliged and sat down to enjoy the magnificent view. And what a view it was. Whoever placed those chairs there knew what they were doing. As Betsy snapped some pictures, she thought she saw what looked like some seals on a rock cropping off to our left. This was enough to get us out of our chairs, (Thanks for placing them there!) and walk further along the coast towards the potential cute sea creatures. After walking as far as we could on Preserve property, and getting a different lens on the camera, we were able to confirm a herd of seals sunning themselves and playing on some rocks. We were both fascinated with them and spent some time photographing and watching them. Our walk back to the car was via a paved access road that afforded us a faster pace and got us on to our next destination. Up next was a visit to Southwest Harbor. 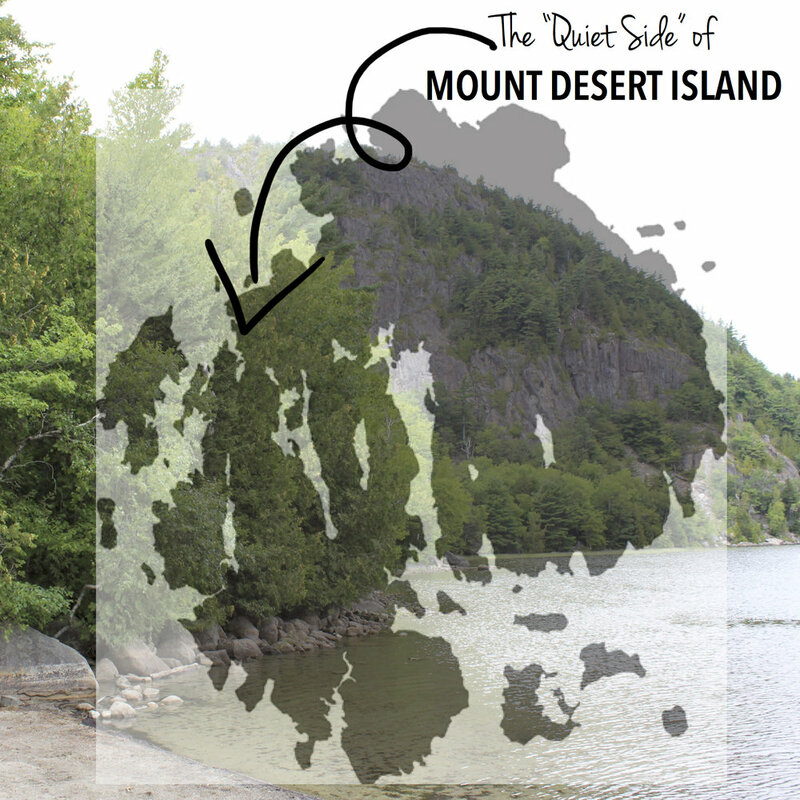 Southwest Harbor is located just west of the southern entrance to Somes Sound on Mount Desert Island. It is the largest municipality on the southwestern or “quiet side” of the island. After some exploring in the car, catching some glimpses of the harbor, we parked the car in a lot and decided to explore the small town on foot. 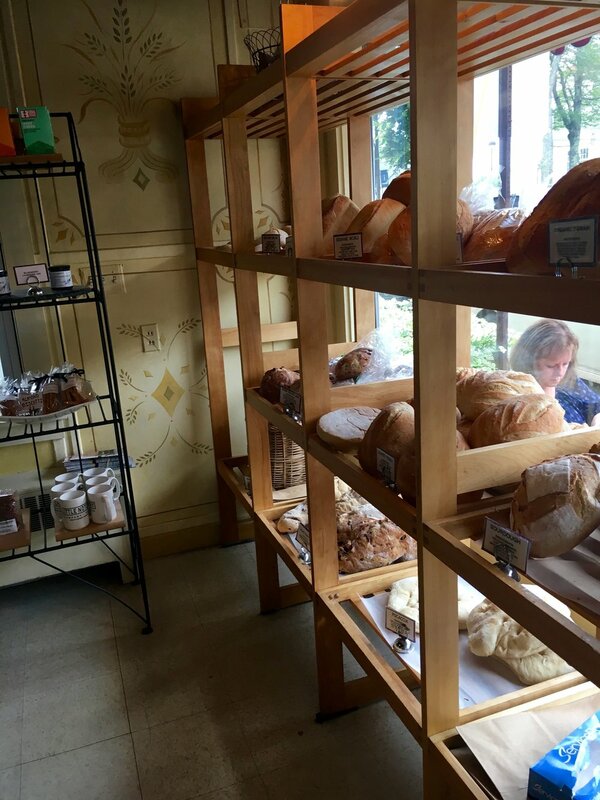 As we walked, we peeked into some storefronts and Betsy was drawn into the Little Notch Bakery by the scent and site of fresh baked bread. With all of the gluten freely flying around, this was not exactly my type of place, so I waited outside on a bench. Betsy came out in a couple of minutes with her loaf of fresh baked bread under her arm. As if rubbing salt in the wound, I offered to carry the loaf of bread as we meandered down the street. We didn’t make it far, as we were both intrigued by Sawyer’s Market which was right next door. Sawyer’s had the vibe of an old time village market which stocked everything you might need in a small space. Before the current norm of the mega-grocery store, these small, local markets were the town meeting place and grocery provider. Even though Betsy loves a good market, after walking the aisles we escaped without any purchases. Back to the car, next stop please. It was on to the cliffside Bass Harbor Head Light which marks the entrance to Bass Harbor on the southwestern side of Mount Desert Island. 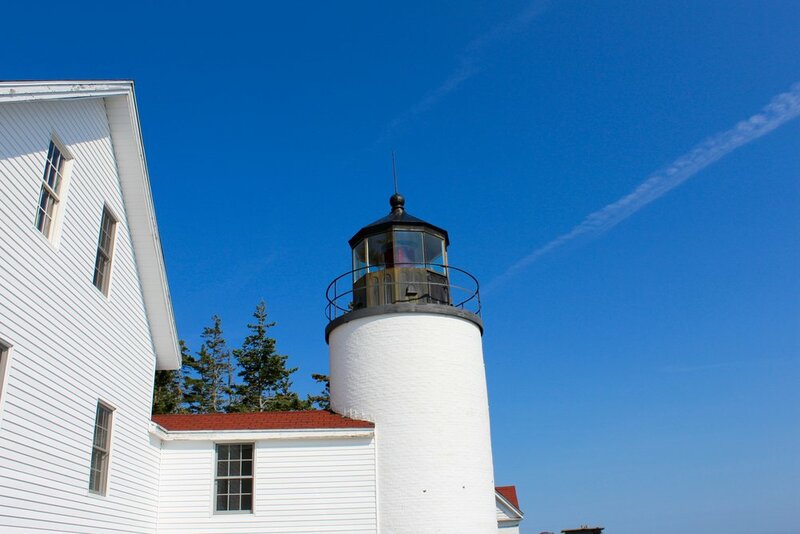 The lighthouse was built of brick in 1858 on a stone foundation and stands 56 feet above the mean high water mark. As we arrived at the lighthouse, we saw a path in plain sight on the right side of the parking lot. This path took us next to the tower and lighthouse viewing area where we had a great vantage point to see a panoramic view of the harbor and the islands in the distance. On the left side of the buildings was a path that appeared to go into the tree canopy. This path took us to a stairway that followed down the front face of the cliff, eventually arriving at a prime spot for capturing a picture of the lighthouse and the cliffs. Similar to many places on the coasts of Mt. Desert Island, there were no guardrails or boardwalks for safety once you got to the bottom. 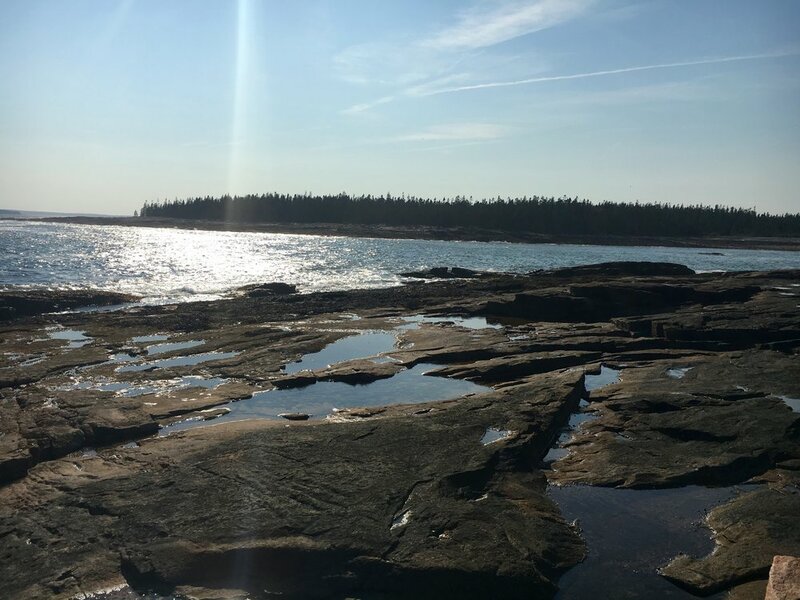 This is the rugged and unpredictable Maine coast with its roughness, loose stones, and slippery spots. Once at the bottom, Betsy channeled her inner rock climber and photographer, and navigated out to a spot out on the rocks with a great view of the lighthouse. I, however, found a smooth rock at the base of the steps and sat down to admire her nimbleness on the rocks, ready to jump in and rescue her if needed! We both safely climbed our way back to the parking lot and plotted our next stop. Our last stop on today’s tour was the fairly flat and easy Wonderland Trail. The trail is 1.4 miles roundtrip, and as we tend to like in a good trail, it ends at the water. We parked along the road and embarked on our stroll towards the coastline. As Acadia trails go, I would say this one would fall in the easy category, but was no less enjoyable. 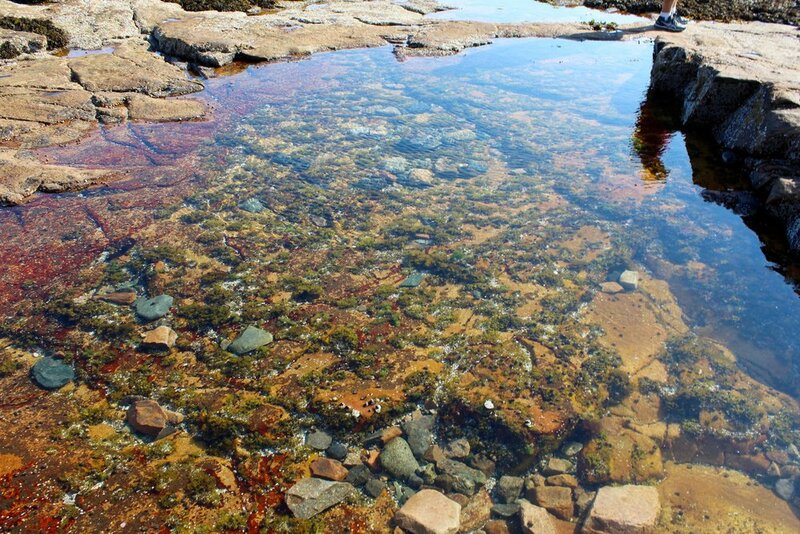 In short order we were standing on the rocky coastline spotted with lots of cool tidal pools, soaking up some more spectacular views . We have discovered so many rocky, coastal spots on the island that are just begging to plop down a gravity chair, kick back with a book, and enjoy what nature has to offer. This would definitely be one of those spots. Since we didn’t have any chairs with us, and neither of us had a good book, we took some mental (and camera) pictures before heading back to the car. Overall we had a pretty darn good day. It was definitely one of those days we imagined when we started dreaming about becoming a full-time RV’er. A beautiful part of our country and a little exercise, all enjoyed with my favorite person. Almost the definition of our name, SeeSimpleLove!